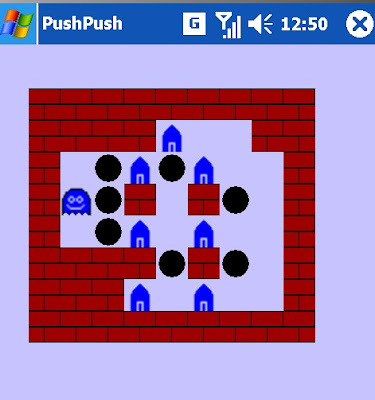 PushPush is a strategy game where you push the marbles onto the houses. Very simple to learn, very tough to master. The game mechanic has been around for years and has shown up as Chips Challenge, Sokoban, Caisses and others. This version has 70 levels. Contact me (c_frames at hotmail.com) for more. Version 1.01 fixes the levels.ini file missing on some systems.